tell me what is your planning for weekend? 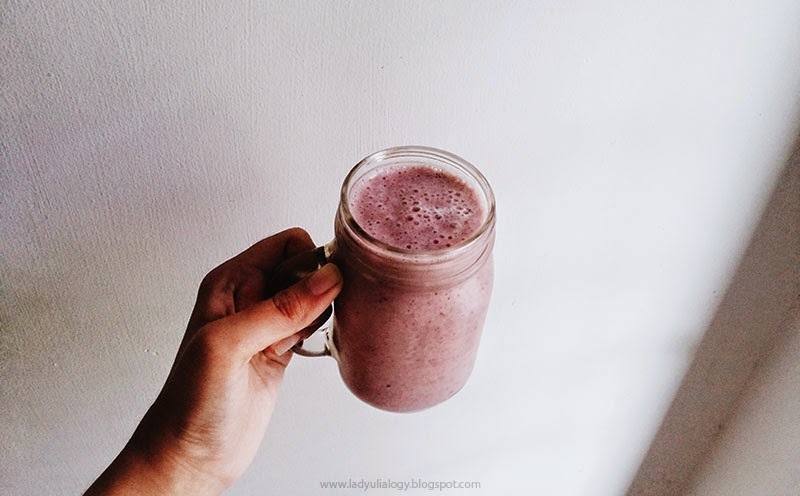 This time I wanna share a raw smoothie recipe with you. Raw smoothies are made by blending raw vegetables with fruits to soften the texture and to sweeten the taste. Why not? A new year, get healthier resolution, who knows you wanna give this green smoothie recipe a try. So, I named it BLUSHING BANANA. Since my banana turned into red after met red spinach. Oh, whatever! - 1/2 squeezed lime water. Those are ingredients for 1 person, I'm still single, you know. (That was a code). haha. You can adjust the ingredients or add more water and ice cube to get more. Oh, look at those tempting ingredients. Mixed all those beautiful ingredients into blender with layers. 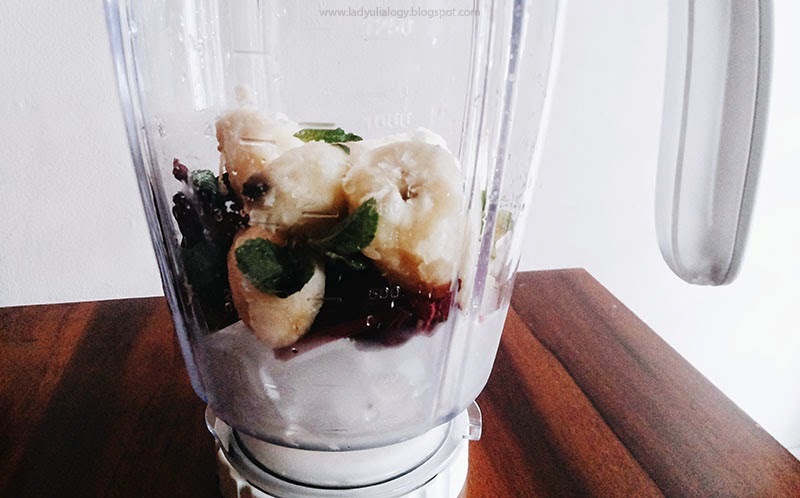 Put ice cube first, red spinach, banana, mint leaves, lime water, and an inch water inside the blender. I'm using Philips HR 2115 blender, gift from my mom last year. After that push that "on" button on your blender, wait until everything blended perfectly and looks smooth. And you are done. 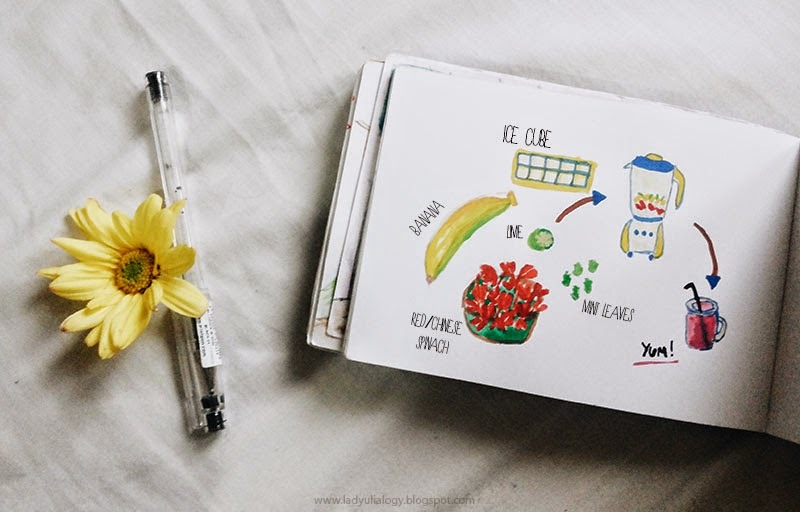 so Yulia, bagusnya kalau bikin smoothies itu perlu gula enggak sih? ?